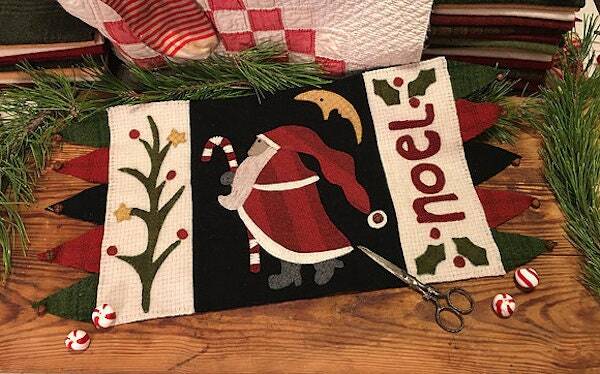 This cute appliqué table mats shows Santa walking in the moonlit night with a candy cane. A fast, easy and fun project for the Christmas season. This table mat finishes to 11" X 22"